At West Bend, we’re proud of our broad base of knowledge when it comes to commercial risks. In fact, we’ve probably insured just about every kind of business at one time or another. Over the years, however, we’ve developed extensive expertise of certain businesses and the skills needed to underwrite them. Metalworking is one of those types of business. Because of this, we’ve become competitive in insuring these operations. Most importantly, our underwriters know and understand what coverages are necessary to protect them. 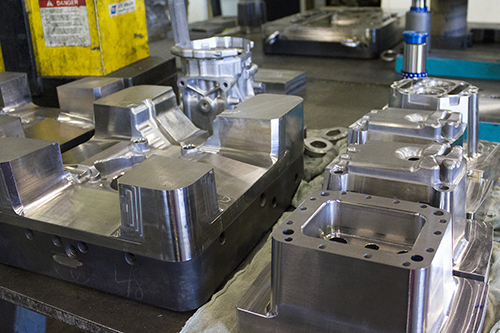 Our focus is primarily on businesses that specialize in custom short-run precision machining operations, including prototype development. These operations are exclusively component-part or component-product manufacturers of short runs of specialized parts or component parts for other companies. Their processes generally involve more sophisticated production equipment and operations, with many using multi-axis CNC machines and even 3-D printers. These operations don’t produce any of their own products and don’t provide design services, but work instead from designs and plans provided by their clients. If you think West Bend is the right insurer for your valuable business, be sure to talk to your Official Supplier of the Silver Lining. Click here to find an agency near you.